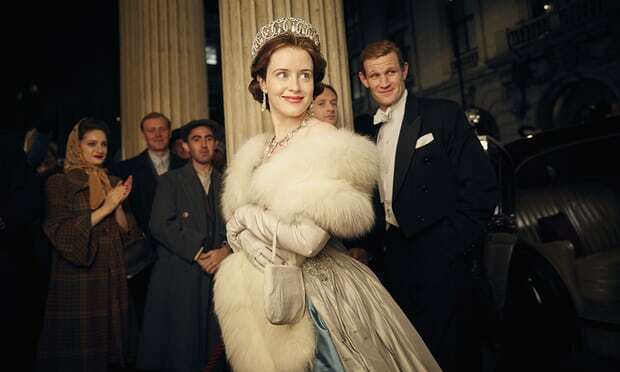 Claire Foy, who plays the Queen in The Crown, was paid less than her co-star Matt Smith during the first two seasons of the hit show, producers of the Netflix series have revealed. Foy, who was reportedly paid $40,000 (£29,000) an episode, will not appear in the third series of The Crown, which starts filming this summer, as every part on the show has since been recast. She won a Golden Globe in 2017 for her portrayal of the current monarch during the early years of her reign. Speaking to the Guardian before the launch of the second series of The Crown last year, Foy said she believed women were expected to follow pre-accepted norms. “If all the women in the world suddenly went: ‘I’ve just realised I can’t be arsed with this any more’,” she said.